Norwegian Cruise Line is the latest line to schedule visits to the new Western Caribbean cruise destination, Banana Coast, on the Honduras mainland. 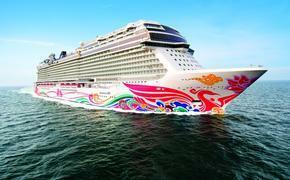 Norwegian has slated 16 calls by the 2,376-passenger Norwegian Jewel from October through April 2015. To date, six cruise lines have scheduled 34 calls on eight ships — the others are Holland America Line, Silversea Cruises, P&O Cruises and Oceania Cruises. The first ship to visit Banana Coast was Travel Dynamics International’s 138-passenger Yorktown on Feb. 10. In all, Banana Coast expects to host more than 80,000 passengers and crew during the 2014-15 winter cruise season. Banana Coast offers shopping, a tender dock, transportation hub and 10 acres of beachfront in the town of Trujillo, which was established in 1525.